Dr Jim Cousineau began his chiropractic career in Port Colborne. In the spring of 1998, he and his wife purchased the building on King Street, which has been a medical office since 1908! In November of 1998, he began his chiropractic practice. An opportunity to relocate came in the spring of 2013. Dr. Jim purchased the former Port Colborne Hydro office. This allows better accessibility and off street parking. Jim began his pre-chiropractic studies at Brock University where he graduated with a Bachelor of Physical Education degree in 1993. While at Brock, Jim completed studies in human movement, basic anatomy and physiology studies. Upon his graduation, he headed to Lambton College in Sarnia to complete courses in Organic and Inorganic Chemistry in order to prepare for his chiropractic studies. New York Chiropractic College in Seneca Falls, NY was where Jim completed his studies in chiropractic. During his five year program, he extensively studied anatomy, physiology, chiropractic adjustment techniques, X-Ray and patient care, both at NYCC and the satellite office located in Buffalo, NY. During his student term, Jim was a student teacher for the X-Ray department, assisting students in understanding and reading x-rays. While in New York State, Jim completed and wrote Level Four of the National Board of Chiropractic Exams. Jim also completed the Canadian Chiropractic Boards in 1998. Jim returned to Niagara to begin his chiropractic career at that time. Jim is married to Sherri and has two daughters. While not working, you can find Jim relaxing with the family, golfing or perfecting the art of cooking. He is actively involved in the local community and continues as a member of the Port Colborne Lions Club where he has served as vice-president. Additionally, he is an executive member of the Port Colborne Italian Community Cultural Centre. Luckily enough for Jim, he also has access to the best chiropractic treatment. He is regularly adjusted by Dr. Mike. Dr Mike was born and raised in Port Colborne. He joined The Clinic on Elm in the fall of 2004. 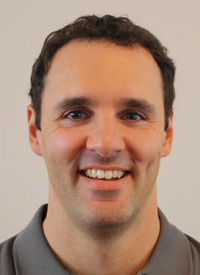 Mike went to Brock University in St. Catharines and graduated with a Bachelor of Physical Education with Honours in 1999. Always an athlete, Mike has had a passion for the body and body mechanics. He became very interested in chiropractic at a young age because there was a family history of back issues. It was an easy and natural decision for him to choose his career path in chiropractic. From Brock, Mike continued his chiropractic studies at Canadian Memorial Chiropractic College in Toronto. An extensive program, he also studied anatomy, physiology and chiropractic adjustment techniques. Mike interned at CMCC during this time. 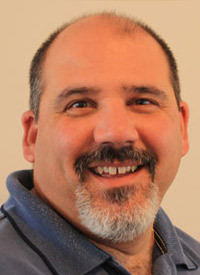 During his time at CMCC, Mike worked as a personal trainer. Mike is trained in A.R.T. and is a certified Graston Technique Practitioner. Mike is married to Dana, a local teacher and together they have three wonderful children. They all keep Mike and Dana active! Mike has a passion for golf. During his spare time, he can be seen on the local links, aiming to lower his handicap. Mike is an active coach with all his children’s extra-curricular activities. Thanks for visiting our site. We look forward to meeting with you in person and learning how chiropractic can fit into your health care goals. Give us a call or send us an email and we can arrange a time to explore your options! We’ve been delivering quality chiropractic care to the Port Colborne area since 1998.